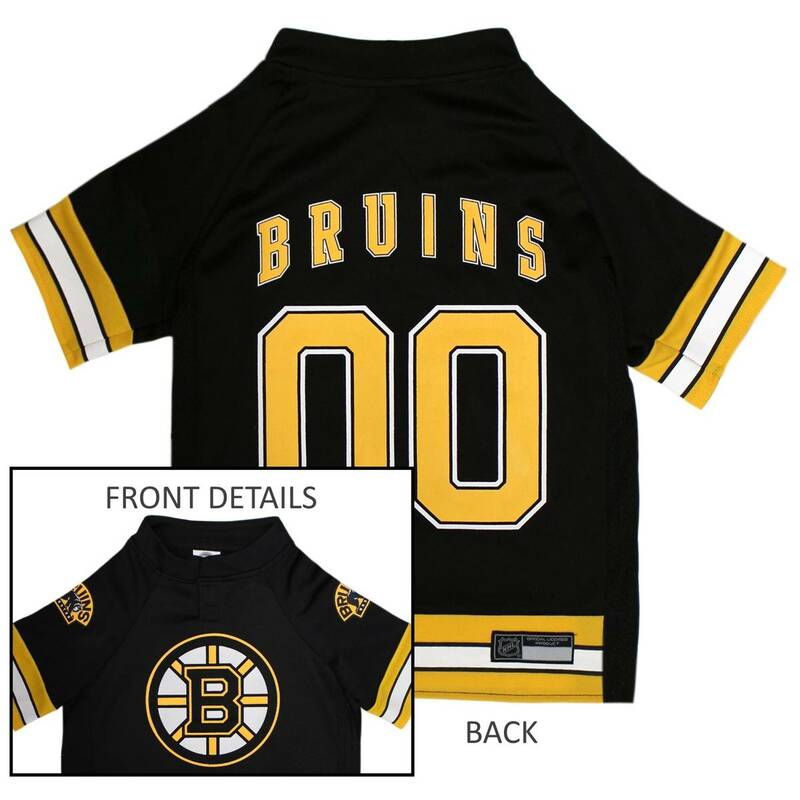 Get your pet ready for the game with this officially licensed NHL pet jersey designed with Boston Bruins team graphics! 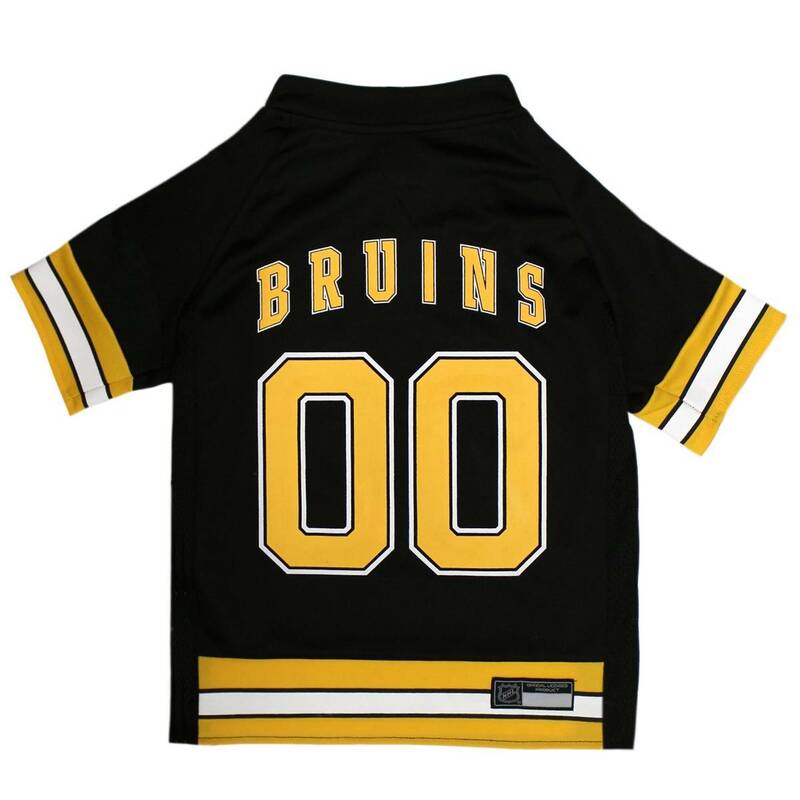 Get your pet ready for the game with this officially licensed NHL Boston Bruins pet jersey! 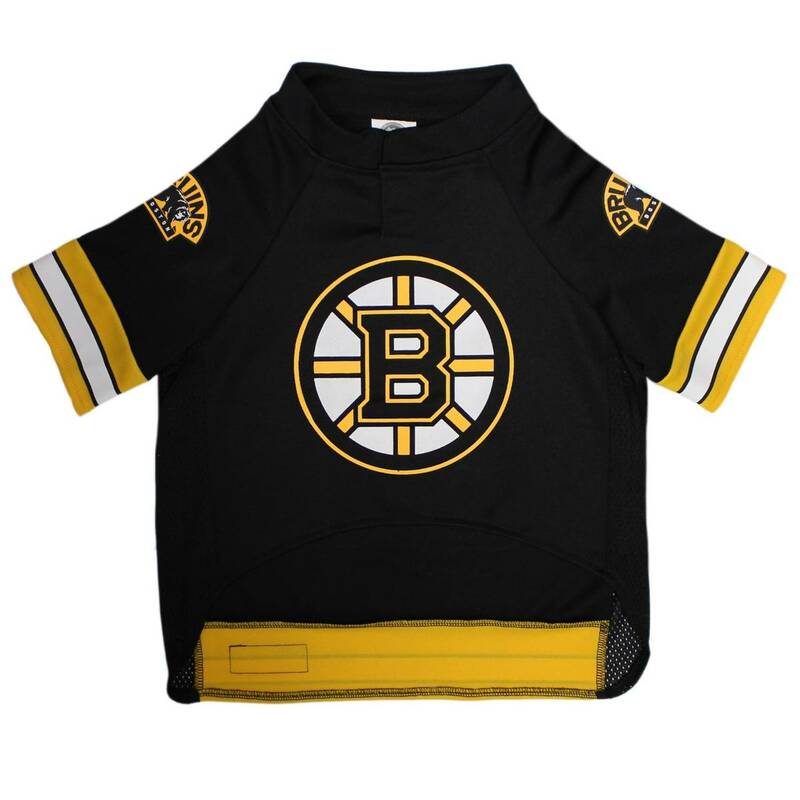 Made with poly-blend material, this jersey features mesh side panels for breathability, Velcro opening at the neck, woven jock tag on the back, and team designs on front and back.